Morgan's troubles weren't what he thought they were. Losing a lover sort of fades into the background when you're drugged up and on the ground with a bunch of muggers beating the snot out of you. Maybe we should start with the case. 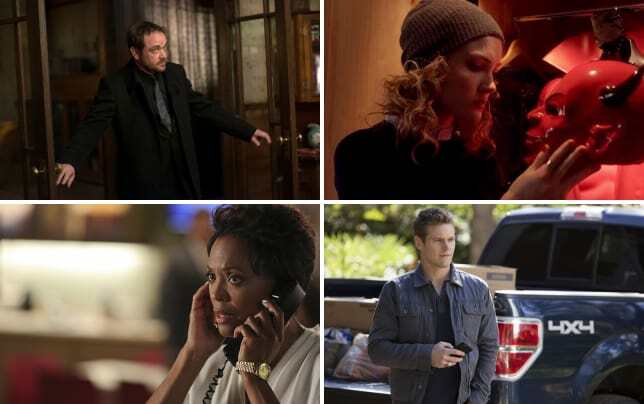 Criminal Minds Season 11 Episode 15 had the BAU investigating the murders of several women, all of whom were asphyxiated after being rolled up in a carpet or sheets at their homes. As it turned out, the Unsub was a troubled man (aren't they all?) who was accidentally released from prison too early. As a result of being victimized and humiliated not only by his father but by some classmates, he decided to "pay them back" by impersonating an FBI agent so he could gain entry to his victims' homes before killing them. The case was interesting to follow, as we watched the team go through its usual flow of logic until they arrived at a profile and ultimately the name of the Unsub. Their early plan to fake a crime scene in order to lure him out was ambitious, but you could see how it could very easily go wrong. Despite the fact they had a bunch of police surrounding the neighborhood, the scheme was only as viable as a single officer or agent. The detective did everything right, particularly as he wasn't 100% sure the man he challenged was the guy for whom they were looking. We knew of course that it wouldn't work, only because the plan was drawn up and put into effect with a half hour left in the show. As far as cases-of-the-week goes, it was fairly routine, and entertaining enough to watch, but was otherwise not particularly engaging. Far more interesting was watching Morgan go through his issues. We haven't seen much of Savannah over the past season, so we had no point of reference for any troubles they may have been having. The "we need to talk" text quite often means exactly what Morgan (and Rossi and Garcia) thought it meant. Morgan: She wants to meet for dinner tonight because we need to talk. I've gotten this text enough times in the past to know it ain't good. Rossi: Hey look. All I know is Savannah is a wonderful woman and you two love each other. It'll be fine. Rossi: No. You're probably completely screwed, but good luck anyway. Permalink: No. You're probably completely screwed, but good luck anyway. But there was another possibility, one that I'm sure most of us figured out early. Savannah is quite likely pregnant. The craving for strawberry ice cream pushed us all closer to that possibility – though Morgan remained in the dark. Knowing that there's rarely an unexplained random act in a show of this type, we all pretty much knew something was going to go horribly wrong when that guy bumped into Morgan outside of the grocery store. In fact, the immediate guess here was that he was drugged. The only other possibility was that his wallet was lifted. Knowing Morgan, that was quite unlikely. Ergo, he was dosed, likely with a dart. We also know it wasn't a random act, and that he was targeted by a group of people. People who obviously dislike him, given the fact that they put the boots to him after he finally collapsed. So now the question is: who did Morgan piss off? What old case is coming to light? Who is seeking revenge? And what does that revenge look like? Or is there a larger purpose involved with this gang? Morgan's only hope is that the team gets looking for him immediately – something made possible by his desperate plea to Savannah to get hold of Hotch right away. This looks like it might be the beginning of an end-of-season arc. 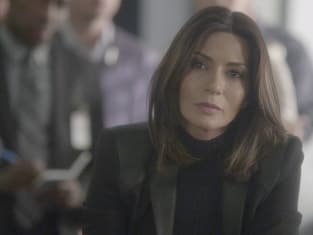 It was great to see Agent Colfax (played by Marisol Nichols) again. You may also recognize her as Tony DiNozzo's ex-girlfriend Zoe from NCIS. When JJ realized a member of the FBI might be the Unsub, they scrambled to get into the SCIF, while Hotch told them to watch for any reactions. That seemed a bit confusing, as I'm not sure what would trigger any kind of response. The scene and dialogue seemed extraneous and unnecessary. Be sure to tune in next week for Criminal Minds Season 11 Episode 16, entitled "Derek." Guest stars will include Danny Glover, who plays Morgan's father Hank. The episode is directed by Thomas Gibson. As always, you can catch up on past episodes right here on TV Fanatic when you watch Criminal Minds online. Now it's over to you. What are your impressions of this episode? What do you think Morgan's kidnappers are after? Let us know in the comments below!